DO NOT OPEN THIS BOOKLET UNTIL YOU ARE TOLD TO DO SO. Section I of this examination contains 60 multiple-choice questions. Fill in only the ovals for numbers 1 through 60 on your answer sheet. CALCULATORS MAY NOT BE USED IN THIS PART OF THE EXAMINATION. Indicate all of your answers to the multiple-choice questions on the answer sheet. No credit will be given for anything written in this exam booklet, but you may use the booklet for notes or scratch work. After you have decided which of the suggested answers is best, completely fill in the corresponding oval on the answer sheet. Give only one answer to each question. If you change an answer, be sure that the previous mark is erased completely. Here is a sample question and answer. Use your time effectively, working as quickly as you can without losing accuracy. Do not spend too much time on any one question. Go on to other questions and come back to the ones you have not answered if you have time. It is not expected that everyone will know the answers to all the multiple-choice questions. Many candidates wonder whether or not to guess the answers to questions about which they are not certain. Multiple-choice scores are based on the number of questions answered correctly. Points are not deducted for incorrect answers, and no points are awarded for unanswered questions. Because points are not deducted for incorrect answers, you are encouraged to answer all multiple-choice questions. On any questions you do not know the answer to, you should eliminate as many choices as you can, and then select the best answer among the remaining choices. This test is an approximation of the test that you will take. For up-to-date information, please remember to check the AP Central website. Throughout the test the following symbols have the definitions specified unless otherwise noted. 1. A compound is made up of entirely silicon and oxygen atoms. If there are 14.00 g of silicon and 32.0 g of oxygen present, what is the empirical formula of the compound? The volume of a gas is charted over time, giving the above results. 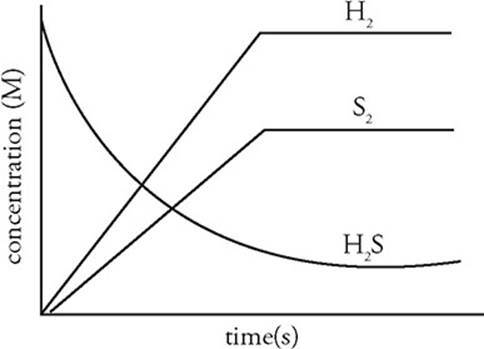 Which of the following options provides a possibel explinatin of what was happening to the gas during each phase of the graph? (A) During phase I, the temperature decreased while the pressure increased. During phase II, the temperature was held constant as the pressure decreased. (B) During phase I, the temperature increased while the pressure was held constant. During phase II, the temperature and pressure both decreased. (C) During phase I, the temperature was held constant while the pressure increased. During phase II, the temperature and pressure both decreased. (D) During phase I, the temperature and pressure both increased. During phase II, the temperature was held constant while the pressure decreased. 3. A solution of sulfurous acid, H2SO3, is present in an aqueous solution. 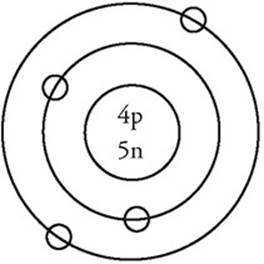 Which of the following represents the concentrations of three different ions in solution? Which of the following statements accurately describes the above reaction? (A) The entropy of the reactants exceeds that of the products. 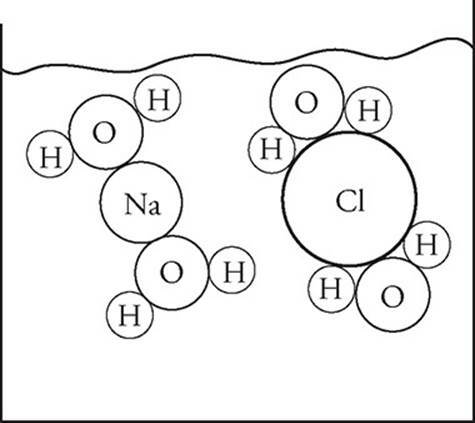 (B) H2O(l) will always be the limiting reagent. (C) This reaction is never thermodynamically favored. (D) The bond strength of the reactants exceeds that of the products. Use the following information to answer questions 6−9. 20.0 mL of 1.0 M Na2CO3 is placed in a beaker and titrated with a solution of 1.0 M Ca(NO3)2, resulting in the creation of a precipitate. The conductivity of the solution is measured as the titration progresses. 6. How much Ca(NO3)2 must be added to reach the equivalence point? 7. 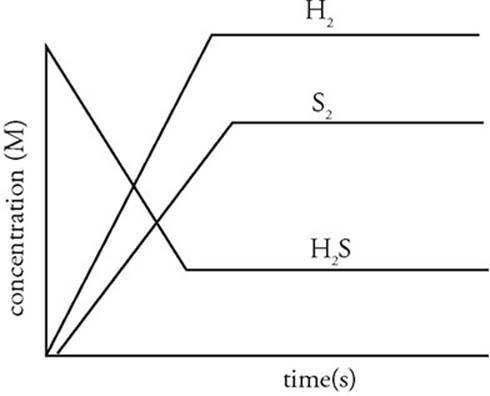 Which of the following diagrams correctly shows the species present in the solution in significant amounts at the equivalence point? 8. What will happen to the conductivity of the solution after additional Ca(NO3)2 is added past the equivalence point? (A) The conductivity will increase as additional ions are being added to the solution. (B) The conductivity will stay constant as the precipitation reaction has gone to completion. (C) The conductivity will decrease as the solution will be diluted with the addition of additional Ca(NO3)2. (D) The conductivity will stay constant as equilibrium has been established. 9. If the experiment were repeated and the Na2CO3 was diluted to 40.0 mL with distilled water prior to the titration, how would that affect the volume of Ca(NO3)2 needed to reach the equivalence point? (A) It would be cut in half. (B) It would decrease by a factor of 1.5. (D) It would not change. 2.0 mol of CO(g) and 2.0 mol of O2(g) are pumped into a rigid, evacuated 4.0-L container, where they react to form CO2(g). 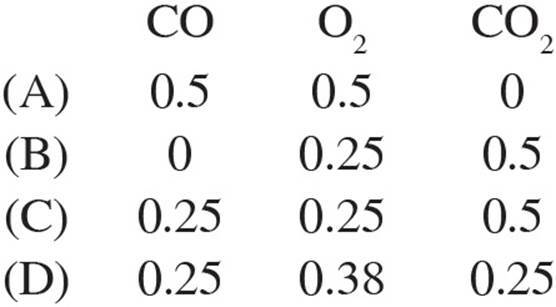 Which of the following values does NOT represent a potential set of concentrations for each gas at a given point during the reaction? 11. Neutral atoms of chlorine are bombarded by high-energy photons, causing the ejection of electrons from the various filled subshells. Electrons originally from which subshell would have the highest velocity after being ejected? 12. A sample of oxygen gas at 50 °C is heated, reaching a final temperature of 100 °C. Which statement best describes the behavior of the gas molecules? (A) Their velocity increases by a factor of two. 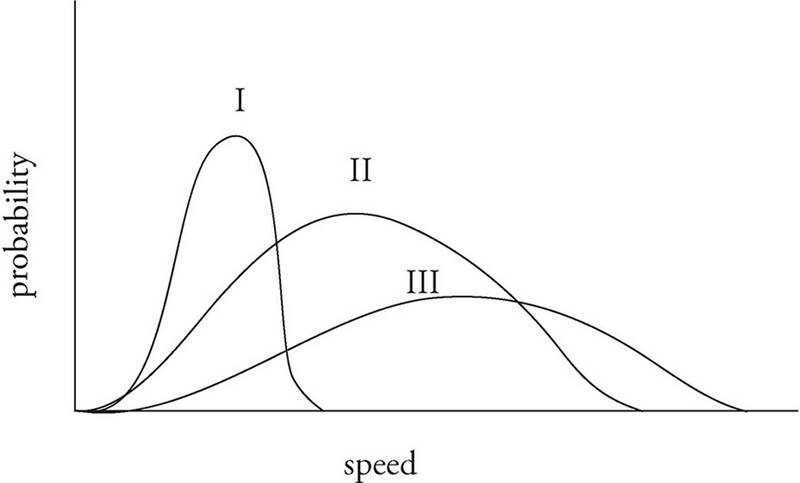 (B) Their velocity increases by a factor of four. (C) Their kinetic energy increases by a factor of 2. (D) Their kinetic energy increases by a factor of less than 2. (A) the average mass of a single carbon atom, measured in amus. 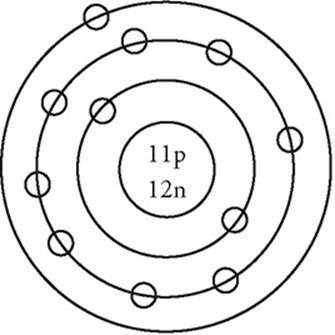 (B) the ratio of the number of carbon atoms to the mass of a single carbon atom. (C) the number of carbon atoms in one amu of carbon. (D) the mass, in grams, of the most abundant isotope of carbon. 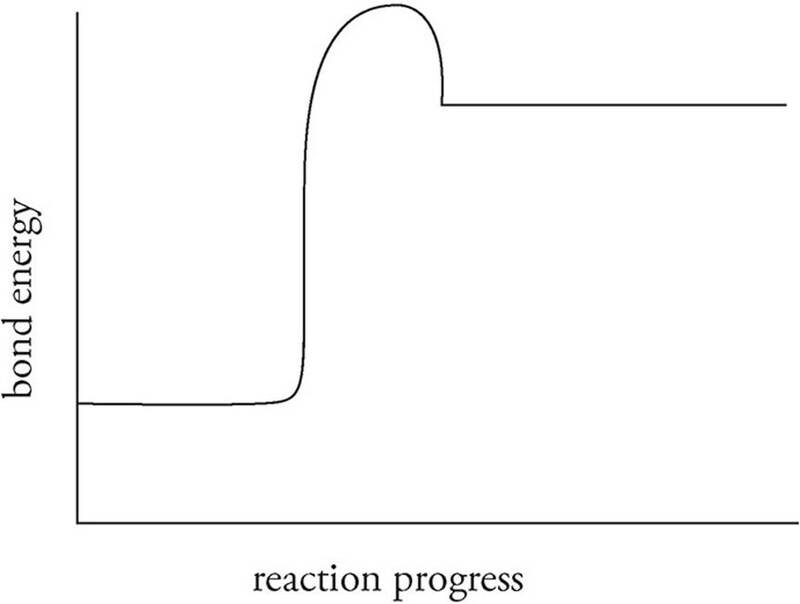 The diagram above best represents which type of reaction? 15. Which of the following is true for all bases? (A) All bases donate OH− ions into solution. 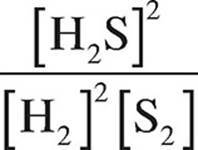 (B) Only strong bases create solutions in which OH− ions are present. (C) Only strong bases are good conductors when dissolved in solution. (D) For weak bases, the concentration of the OH−ions exceeds the concentration of the base in the solution. Use the following information to answer questions 16-18. In the above reaction, a piece of solid nickel is added to a solution of potassium dichromate. 16. Which species is being oxidized and which is being reduced? 17. How many moles of electrons are transferred when 1 mole of potassium dichromate is mixed with 3 mol of nickel? 18. How does the pH of the solution change as the reaction progresses? (A) It increases until the solution becomes basic. (B) It increases, but the solution remains acidic. (C) It decreases until the solution becomes basic. (D) It decreases, but the solution remains acidic. 19. A sample of an unknown chloride compound was dissolved in water, and then titrated with excess Pb(NO3)2 to create a precipitate. After drying, it is determined there are 0.0050 mol of precipitate present. What mass of chloride is present in the original sample? 20. A photoelectron spectra for which of the following atoms would show peaks at exactly three different binding energies? 21. The bond length between any two nonmetal atoms is achieved under which of the following conditions? 22. Hydrogen fluoride, HF, is a liquid at 15°C. All other hydrogen halides (represented by HX, where X is any other halogen) are gases at the same temperature. Why? (A) Fluorine has a very high electronegativity; therefore the H-F bond is stronger than any other H-X bond. 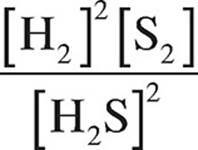 (B) HF is smaller than any other H-X molecule; therefore it exhibits stronger London dispersion forces. (C) The dipoles in a HF molecule exhibit a particularly strong attraction force to the dipoles in other HF molecules. (D) The H-F bond is the most ionic in character compared to all other hydrogen halides. Two different acids with identical pH are placed in separate beakers. Identical portions of NaOH are added to each beaker, and the resulting pH is indicated in the table above. What can be determined about the strength of each acid? (A) Acid 1 is a strong acid and acid 2 is a weak acid because acid 1 resists change in pH more effectively. (B) Acid 1 is a strong acid and acid 2 is a weak acid because the NaOH is more effective at neutralizing acid 2. (C) Acid 1 is a weak acid and acid 2 is a strong acid because the concentration of the weak acid must be significantly greater to have the same pH as the strong acid. (D) Acid 1 is a weak acid and acid 2 is a strong acid because the concentration of the hydrogen ions will be greater in acid 2 after the NaOH addition. 24. A stock solution of 12.0 M sulfuric acid is made available. What is the best procedure to make up 100. mL of 4.0 M sulfuric acid using the stock solution and water prior to mixing? (A) Add 33.3 mL of water to the flask, and then add 66.7 mL of 12.0 M acid. (B) Add 33.3 mL of 12.0 M acid to the flask, and then dilute it with 66.7 mL of water. (C) Add 67.7 mL of 12.0 M acid to the flask, and then dilute it with 33.3 mL of water. (D) Add 67.7 mL of water to the flask, and then add 33.3 mL of 12.0 M acid. Use the following data to answer questions 25-29. 25. In which of the reactions does the amount of energy released by the formation of bonds in the products exceed the amount of energy necessary to break the bonds of the reactants by the greatest amount? 26. In which of the reactions is the value for ΔS the most positive? 27. 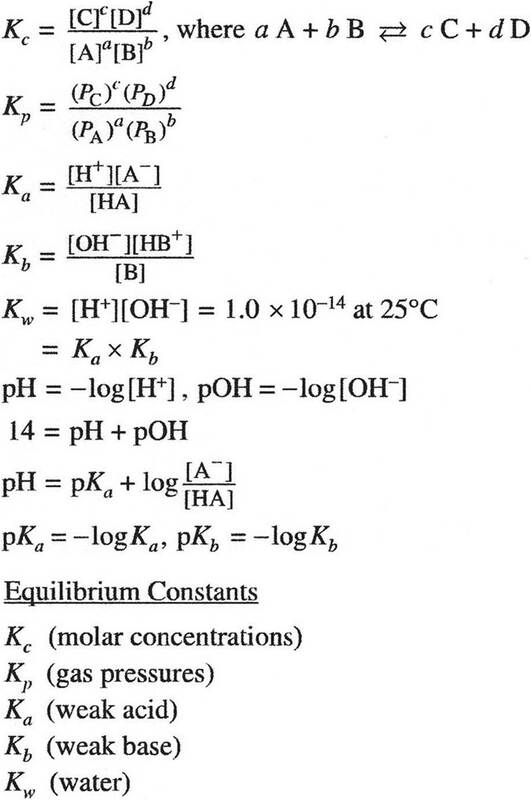 Regarding reaction I, how would the addition of a catalyst affect the enthalpy and entropy changes for this reaction? Regarding reaction II, to achieve the products present in the above diagram how many moles of each reactant must be present prior to the reaction? 29. Regarding reaction IV, how much heat is absorbed or released when 2.0 mol of CH4(g) reacts with 2.0 mol of O2(g) ? (A) 890 kJ of heat is released. (B) 890 kJ of heat is absorbed. (C) 1780 kJ of heat is released. (D) 1780 kJ of heat is absorbed. 31. 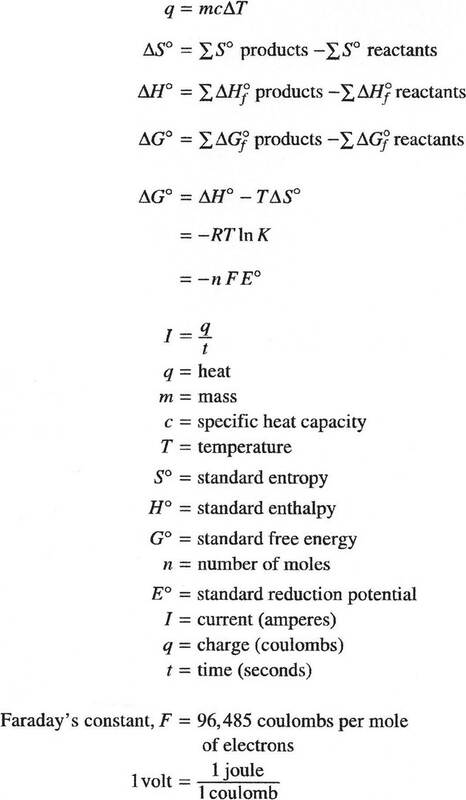 What is the general relationship between temperature and entropy for diatomic gases? (A) They are completely independent of each other; temperature has no effect on entropy. (B) There is a direct relationship, because at higher temperatures there is an increase in energy dispersal. (C) There is an inverse relationship, because at higher temperatures substances are more likely to be in a gaseous state. 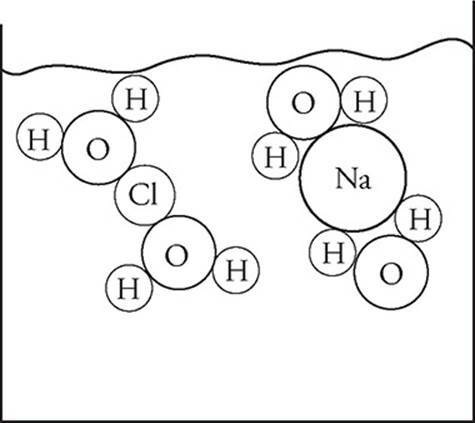 (D) It depends on the specific gas and the strength of the intermolecular forces between individual molecules. 32. 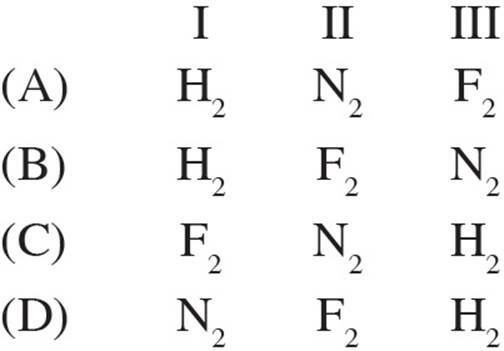 Which of the following pairs of ions would make the best buffer with a basic pH? 33. 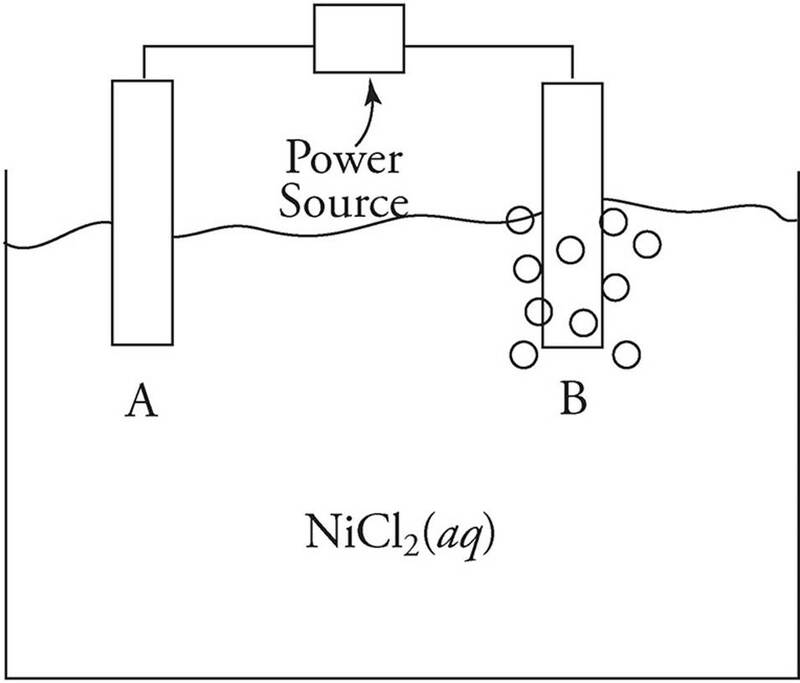 A solution contains a mixture of four different compounds: KCl(aq), Fe(NO3)3(aq), MgSO4(aq), and N2H4(aq). Which of these compounds would be easiest to separate via distillation? Identify the three gases represented on the Maxwell-Boltzmann diagram above. Assume all gases are at the same temperature. 35. 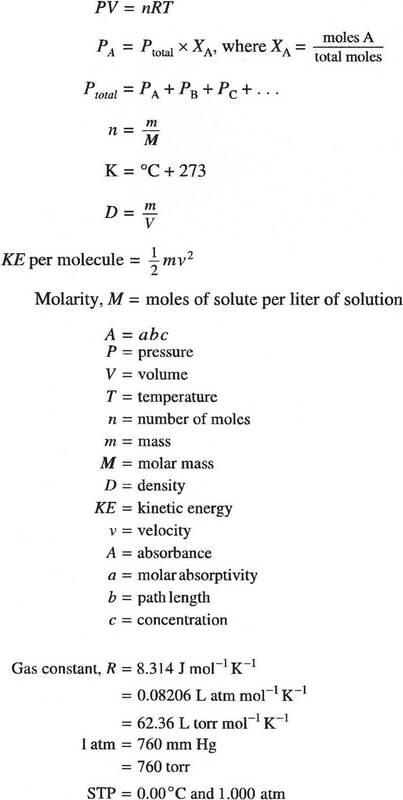 A sample of solid MgCl2 would be most soluble in which of the following solutions? 36. Most transition metals share a common oxidation state of +2. Which of the following best explains why? (A) Transition metals all have a minimum of two unpaired electrons. (B) Transition metals have unstable configurations and are very reactive. 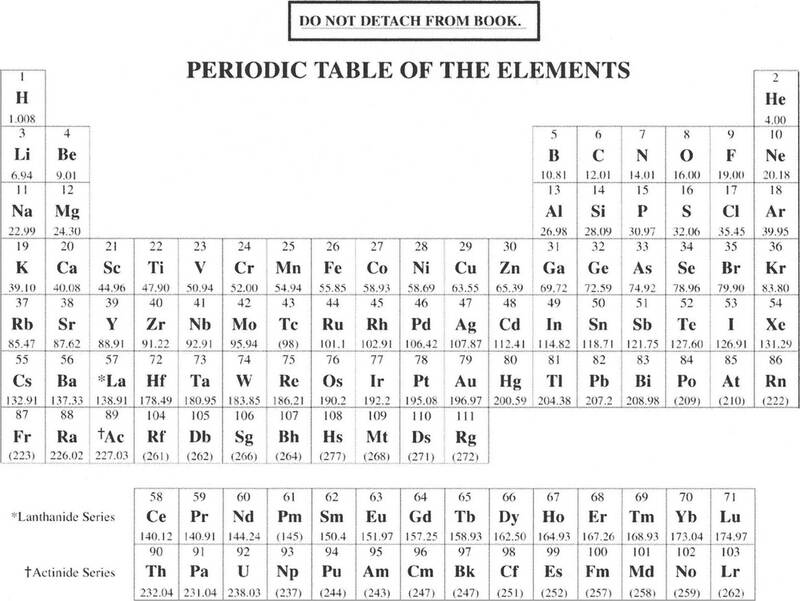 (C) Transition metals tend to gain electrons when reacting with other elements. (D) Transition metals will lose their outermost s-block electrons when forming bonds. 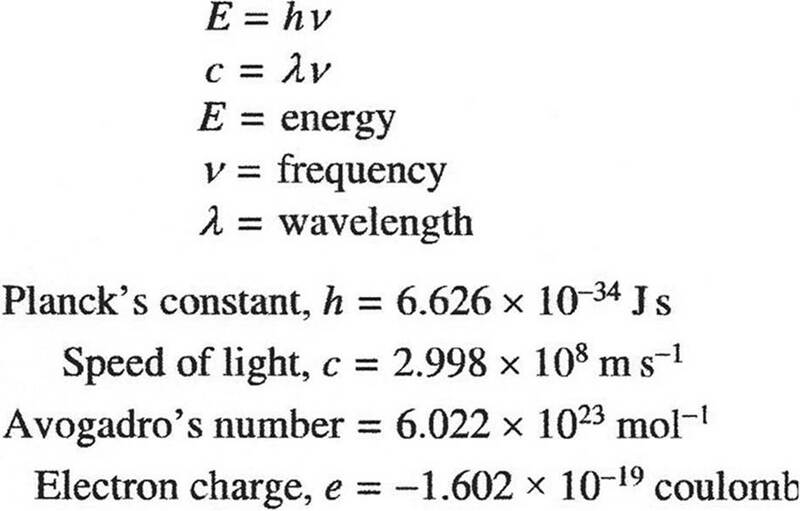 Which of the following would cause an increase in potential in the voltaic cell described by the above reaction? Use the following information to answer questions 38-41. 38. Which molecule would have the shortest bonds? 39. Which molecules are best represented by multiple resonance structures? 40. 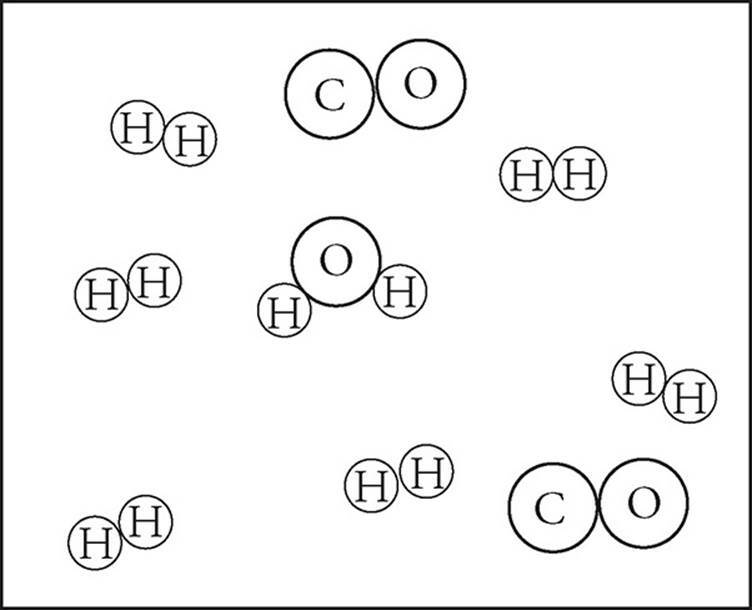 Which molecule or molecules exhibit sp2 hybridization around the central atom? 41. Which molecule would have the smallest bond angle between terminal atoms? Increasing the temperature of the above reaction will increase the rate of reaction. Which of the following is NOT a reason that increased temperature increases reaction rate? (A) The reactants will be more likely to overcome the activation energy. 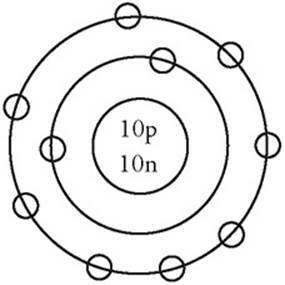 (B) The number of collisions between reactant molecules will increase. (C) A greater distribution of reactant molecules will have high velocities. (D) Alternate reaction pathways become available at higher temperatures. 43. 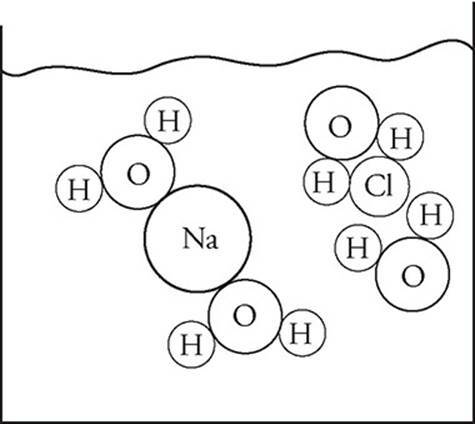 Which of the following diagrams best represents what is happening on a molecular level when NaCl dissolves in water? 44. Nitrous acid, HNO2, has a pKa value of 3.3. If a solution of nitrous acid is found to have a pH of 4.2, what can be said about the concentration of the conjugate acid/base pair found in solution? 45. Which of the following processes is an irreversible reaction? Use the following information to answer questions 46-50. 46. Which of the following represents the equilibrium constant for this reaction? 47. 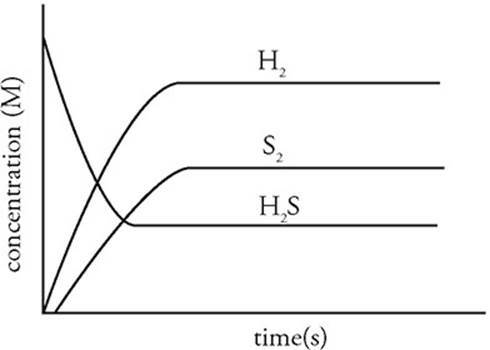 Which of the following graphs would best represent the change in concentration of the various species involved in the reaction over time? 48. Which option best describes what will immediately occur to the reaction rates if the pressure on the system is increased after it has reached equilibrium? (A) The rate of both the forward and reverse reactions will increase. 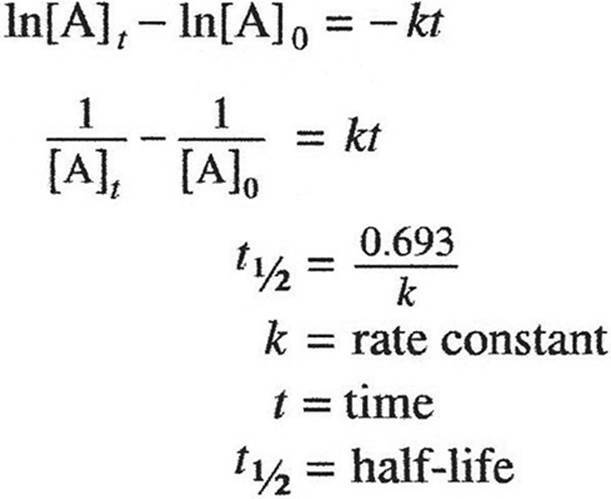 (B) The rate of the forward reaction will increase while the rate of the reverse reaction decreases. (C) The rate of the forward reaction will decrease while the rate of the reverse reaction increases. (D) Neither the rate of the forward nor reverse reactions will change. 49. If, at a given point in the reaction, the value for the reaction quotient Q is determined to be 2.5 × 10−8, which of the following is occurring? (A) The concentration of the reactant is decreasing while the concentration of the products is increasing. (B) The concentration of the reactant is increasing while the concentration of the products is decreasing. (C) The system has passed the equilibrium point and the concentration of all species involved in the reaction will remain constant. (D) The concentrations of all species involved are changing at the same rate. 50. As the reaction progresses at a constant temperature of 1,000K, how does the value for the Gibbs free energy constant for the reaction change? 52. Which of the following best explains why the ionization of atoms can occur during photoelectron spectroscopy, even though ionization is not a thermodynamically favored process? (A) It is an exothermic process due to the release of energy as an electron is liberated from the Coulombic attraction holding it to the nucleus. (B) The entropy of the system increases due to the separation of the electron from its atom. (C) Energy contained in the light can be used to overcome the Coulombic attraction between electrons and the nucleus. (D) The products of the ionization are at a lower energy state than the reactants. 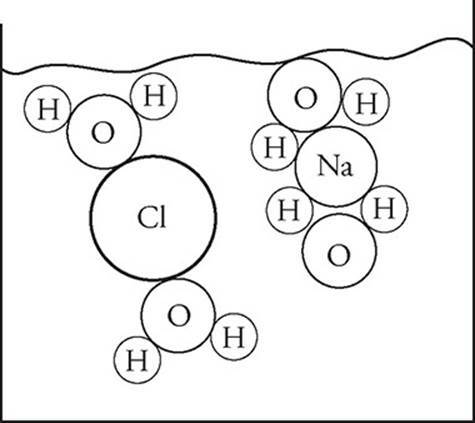 The above diagrams shows the decomposition of hydrogen peroxide in a sealed container in the presence of a catalyst. What is the overall order for the reaction? 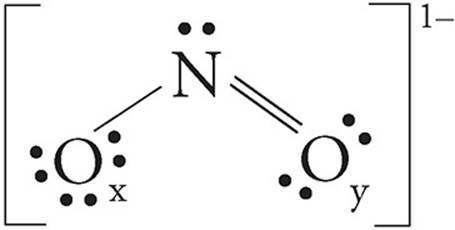 One of the resonance structures for the nitrite ion is shown above. What is the formal charge on each atom? 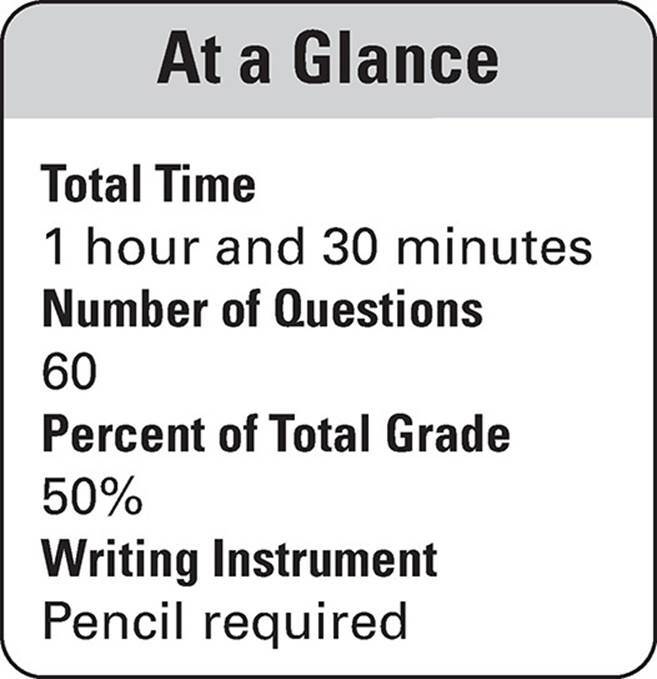 Use the following information to answer questions 55-57. Atoms of four elements are examined: carbon, nitrogen, neon, and sulfur. 55. Atoms of which element would have the strongest magnetic moment? 56. 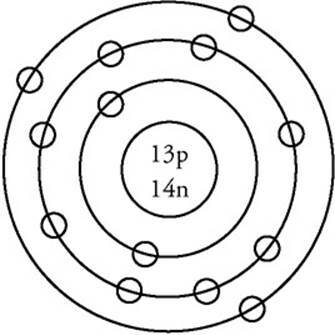 Atoms of which element are most likely to form a structure with the formula XF6 (where X is one of the four atoms)? 57. Which element would have a photoelectron spectra in which the peak representing electrons with the lowest ionization energy would be three times higher than all other peaks? 58. 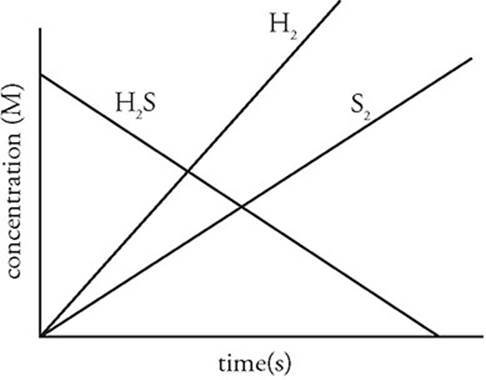 The following diagram supports which of the following conclusions about the reaction shown below? (A) There is an increase in entropy. (B) Mass is conserved in all chemical reactions. (C) The pressure increases after the reaction goes to completion. (D) The enthalpy value is positive. 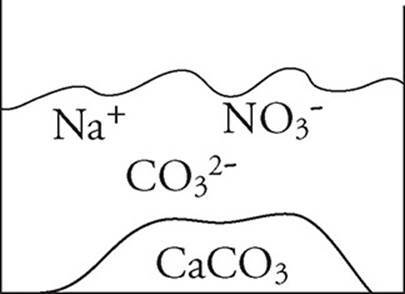 A proposed reaction mechanism for the reaction of nitrogen dioxide and ozone is detailed above. Which of the following is the rate law for the reaction? (A) The reaction is under kinetic control. (B) The reaction has reached a state of equilibrium. (C) The reaction is highly exothermic in nature. (D) The addition of heat will increase the rate of reaction significantly. Calculators, including those with programming and graphing capabilities, may be used. However, calculators with typewriter-style (QWERTY) keyboards are NOT permitted. 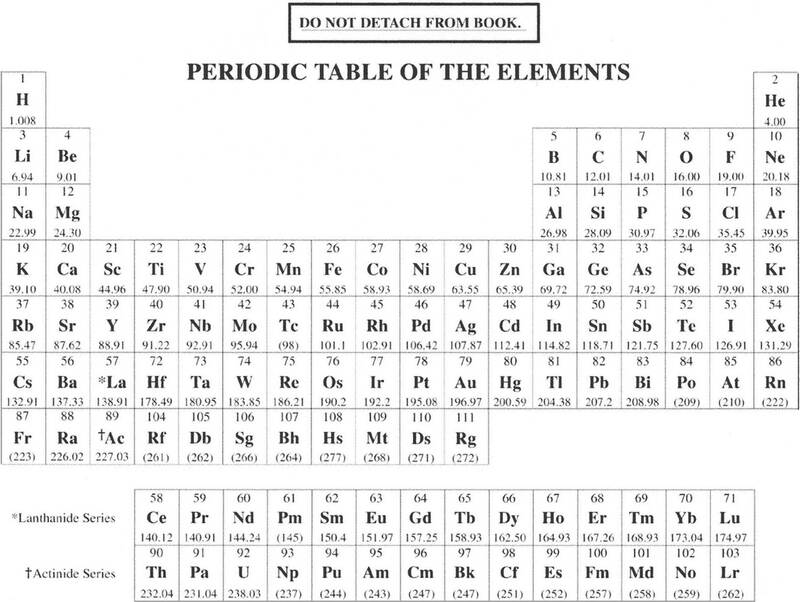 Pages containing a periodic table and equations commonly used in chemistry will be available for your use. You may write your answers with either a pen or a pencil. Be sure to write CLEARLY and LEGIBLY. If you make an error, you may save time by crossing it out rather than trying to erase it. Write all your answers in the essay booklet. Number your answers as the questions are numbered in the examination booklet. Throughout the test the following symbols have the definition specified unless otherwise noted. YOU MAY USE YOUR CALCULATOR IN THIS SECTION. THE METHODS USED AND THE STEPS INVOLVED IN ARRIVING AT YOUR ANSWERS MUST BE SHOWN CLEARLY. It is to your advantage to do this since you may obtain partial credit if you do, and you will receive little or no credit if you do not. Attention should be paid to significant figures. (b) Calculate the concentration of the CoCl2 in each sample. (c) If gloves are not worn when handling the cuvettes, how might this affect the absorbance values gathered? (d) If the path length of the cuvette is 1.00 cm, what is the molar absorptivity value for CoCl2 at 560 nm? 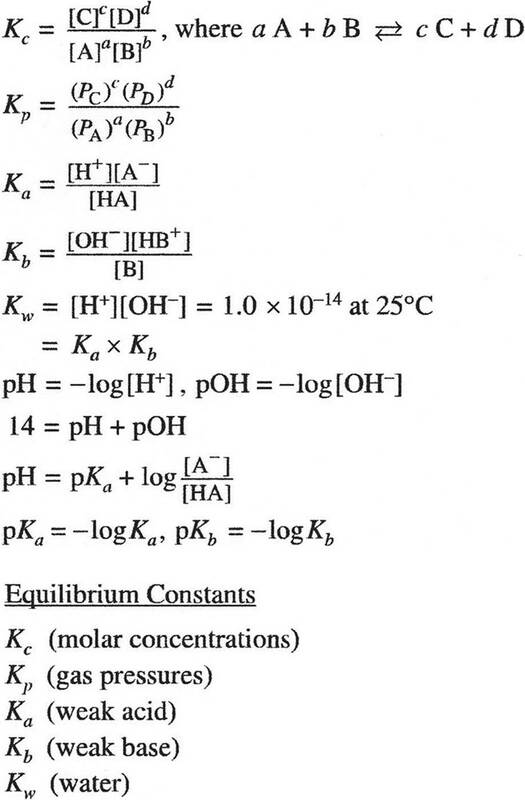 (f) What would the absorbance values be for CoCl2 solutions at the following concentrations? 2. 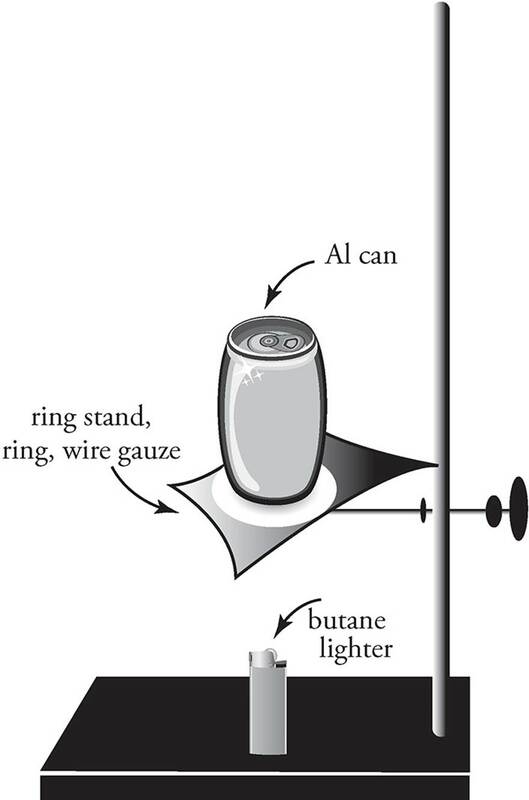 A sample of liquid butane (C4H10) in a pressurized lighter is set up directly beneath an aluminum can, as show in the diagram above. The can contains 100.0 mL of water, and when the butane is ignited the temperature of the water inside the can increases from 25.0°C to 82.3°C. The total mass of butane ignited is found to be 0.51 g, the specific heat of water is 4.18 J/g × °C, and the density of water is 1.00 g/mL. (a) Write the balanced chemical equation for the combustion of butane in air. (b) (i) How much heat did the water gain? (ii) What is the experimentally determined heat of combustion for butane based on this experiment? Your answer should be in kJ/mol. (c) Given butane’s density of 0.573 g/mL at 25°C, calculate how much heat would be emitted if 5.00 mL of it were combusted at that temperature. (d) The overall combustion of butane is an exothermic reaction. Explain why this is in terms of bond energies. (e) One of the major sources of error in this experiment comes from the heat that is absorbed by the air. Why, then, might it not be a good idea to perform this experiment inside a sealed container to prevent the heat from leaving the system? 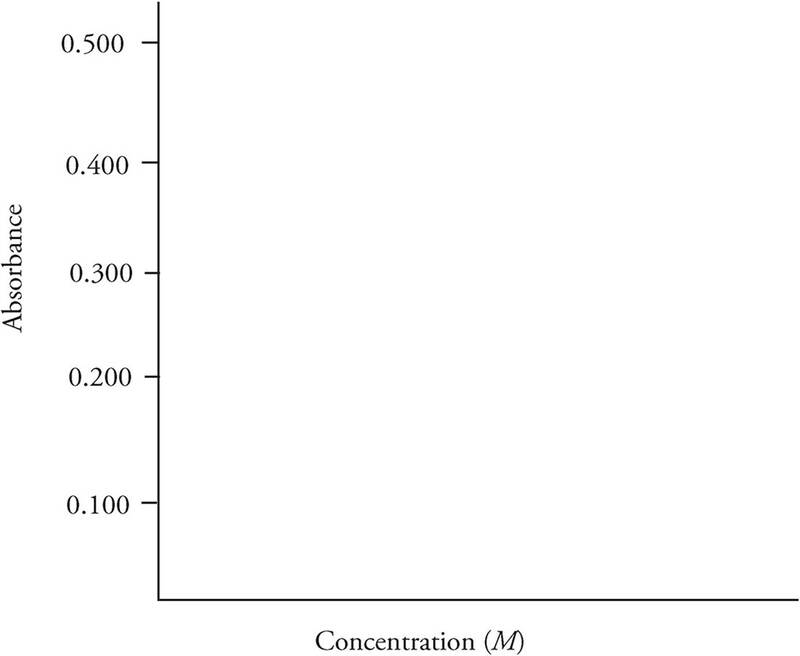 The data below was gathered for the decomposition of N2O5 at 310 K via the equation above. 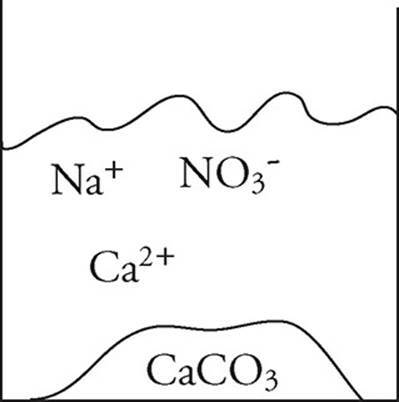 (a) How does the rate of appearance of NO2 compare to the rate of disappearance of N2O5? Justify your answer. (b) The reaction is determined to be first order overall. 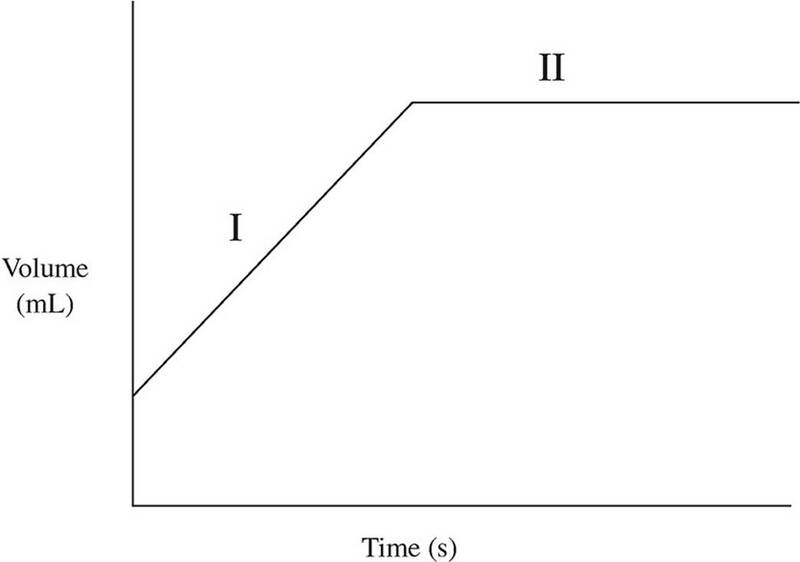 On the axes below, create a graph of some function of concentration vs. time that will produce a straight line. Label and scale your axes appropriately. (c) (i) What is the rate constant for this reaction? Include units. (ii) What would the concentration of N2O5 be at t = 1500 s? (iii) What is the half-life of N2O5? (d) Would the addition of a catalyst increase, decrease, or have no effect on the following variables? Justify your answers. (a) All of the substances are liquids at room temperature. Organize them from high to low in terms of boiling points, clearly differentiating between the intermolecular forces in each substance. 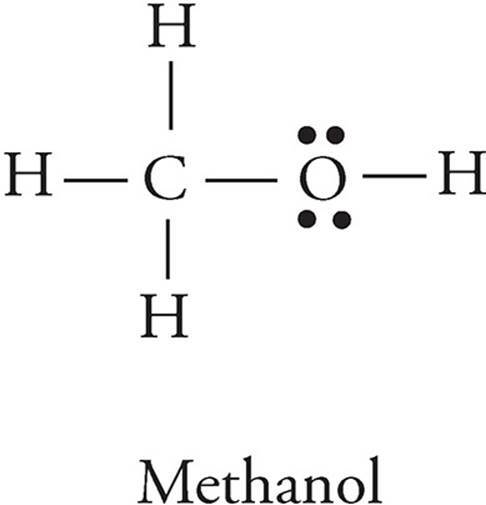 (b) On the methanol diagram reproduced below, draw the locations of all dipoles. (c) n-Butylamine is found to have the lowest vapor pressure at room temperature out of the four liquids. Justify this observation in terms of intermolecular forces. (b) (i) Calculate the standard cell potential of the cell. (ii) Calculate the Gibbs free energy value of the cell at standard conditions. (c) Which electrode in the diagram (A or B) is the cathode, and which is the anode? Justify your answers. 6. Aniline, C6H5NH2 is a weak base with Kb = 3.8 × 10−10. (a) Write out the reaction that occurs when aniline reacts with water. (b) (i) What is the concentration of each species at equilibrium in a solution of 0.25 M C6H5NH2? (ii) What is the pH value for the solution in (i)? 7. 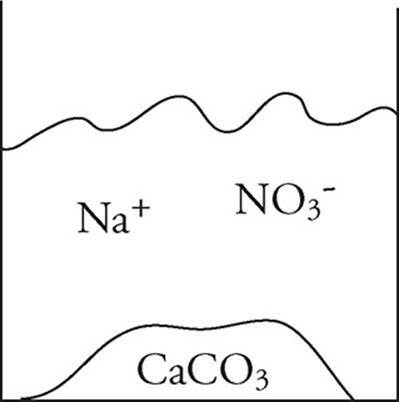 A rigid, sealed 12.00 L container is filled with 10.00 g each of three different gases: CO2, NO, and NH3. The temperature of the gases is held constant 35.0°C. 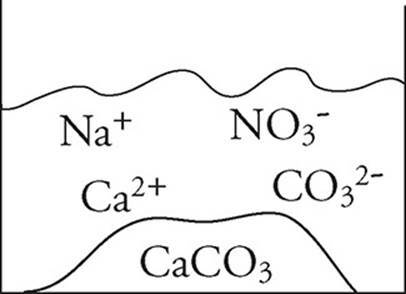 Assume ideal behavior for all gases. 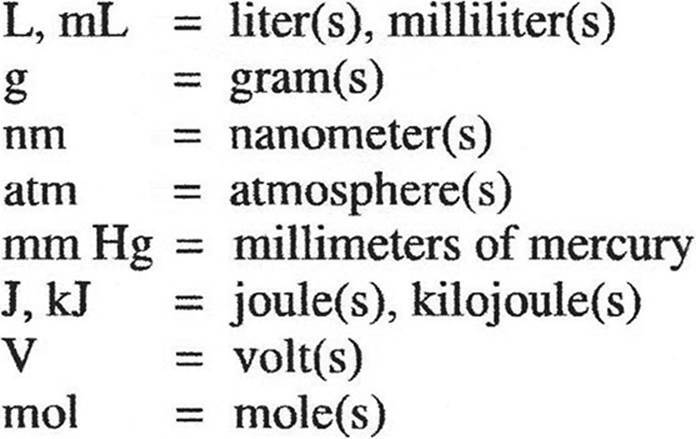 (a) (i) What is the mole fraction of each gas? (ii) What is the partial pressure of each gas? (b) Out of the three gases, molecules of which gas will have the highest velocity? Why? (c) Name one circumstance in which the gases might deviate from ideal behavior, and clearly explain the reason for the deviation.